MH-17: Russia To Blame | Words, By George! Twenty-seven Australians were aboard Malaysia Airlines Flight MH-17 apparently shot down by a missile fired by Russian-based and Russian-supplied rebels in Ukraine, which killed all 298 on board. Kiev accused pro-Russian separatists battling Ukrainian forces of the “terrorist act’’ as stunned world leaders called for an international inquiry into the disaster, which could further fan the flames of the worst East-West crisis since the Cold War. Ukraine’s government and pro-Russian insurgents traded blame for the disaster, but comments attributed to a rebel chief suggesting his men may have downed Malaysia Airlines Flight MH-17 by mistake, believing it was a Ukrainian army transport plane. And if this is true and the plane was brought down by Russian supported separatists using Russian know-how and Russian supplied heavy weapons and SAM missiles, then all roads lead back to Russia and stop clearly at the feet of the Russian president, Vladimir Putin. The finger of suspicion in this matter has to point to Russian operatives. Pro-Russian separatists would scarcely have the expertise to operative this type of technical equipment, therefore this indicates that they must have been operated by the Russian Army who have the prerequisite skills and experience. This theory is supported by reports (and video) of mobile SAM batteries crossing back into Russia the day after the attack. The Russian president has again demonstrated that he has scant regard for human life inasmuch as he has failed to prevent the flow of money and weapons to these terrorists, in the obvious attempt to annexe more Ukraine territory to the Russian state. Putin should resign from the presidency, but of course he will not do so because he so enjoys the power of office. The elixir of power is more addictive than any narcotic! Furthermore, Russia has demonstrated that little has changed in its national outlook and foreign policy from its communist past, and is still not averse to being the “bully” to achieve its national needs and desires. Russia has demonstrated its continued dissatisfaction with the loss of territory since the breakup of the former USSR. Russian democracy resembles no other! However, in Moscow, Russian President Vladimir Putin has blamed the Ukrainian government for the crash of a Malaysian Airlines jet that was shot down over eastern Ukraine, killing all 295 people on board. The government in Kiev is responsible for the fighting in eastern Ukraine between government troops and pro-Russian rebel forces which caused the downing of the civilian aircraft, Putin said at a cabinet meeting last night, according to a transcript released by the Kremlin. The government in Kiev blamed the attack on pro-Russian rebels. The separatists denied the accusation. Ukraine’s state security service said it intercepted phone conversations among militants discussing the missile strike, which knocked Flight 17 from the sky near the eastern town of Torez, about 30 kilometres from the Russian border. The Boeing Co. 777 was en route to Kuala Lumpur from Amsterdam. The Boeing 777-200ER, travelling from Amsterdam to Kuala Lumpur but carrying 27 Australian-born passengers, appeared to have broken up before impact and the burning wreckage was scattered over a wide area. 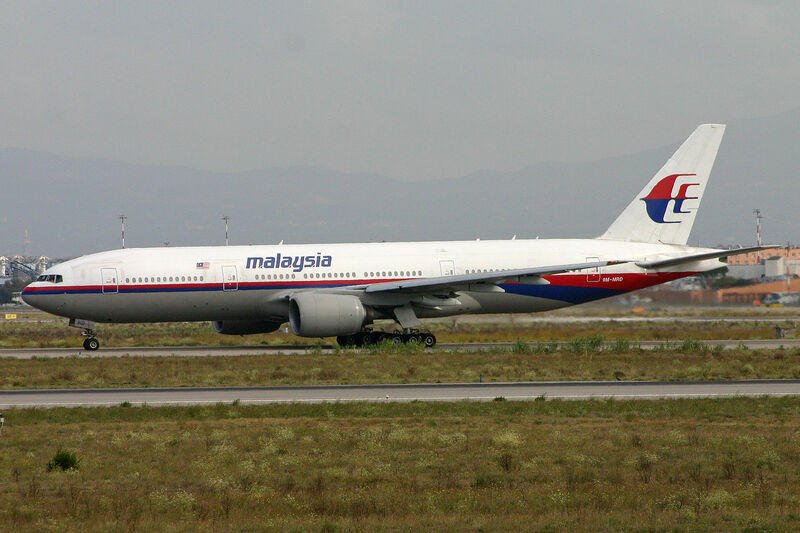 Malaysia said the plane had made no distress call. Ukraine labelled the crash a “terrorist act” with the Ukraine embassy Charge D’Affaires to Australia, Mr Mykola Dzhydzhora, stating that the Ukraine understood “medium-range surface-to-air missile” was used in an attack on MH-17, which he said were supplied by the “Russian Federation”. On the plane were 154 Dutch, 27 Auistralians, 23 Malaysians, 11 Indonesians, six from the UK, four each from Belgium and Germany and one from Canada. Other nationalities had yet to be confirmed. All of the 15 crew were Malaysian nationals. Dialog of terrorists discussing the shooting down of MH-17 from the Ukraine Security Service. 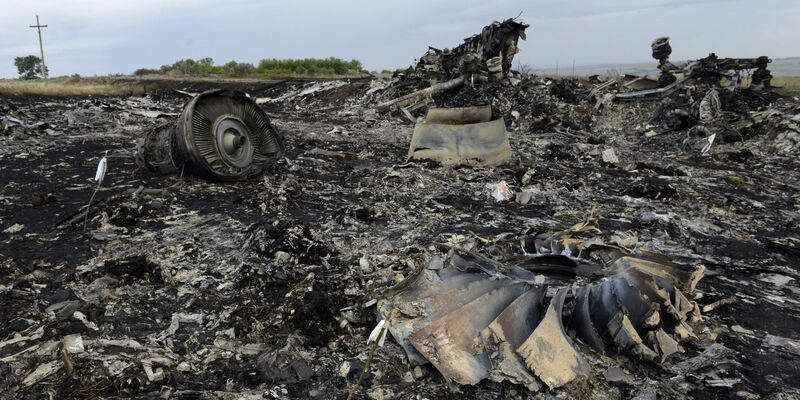 Pingback: MH-17 – Off Course? | Words, By George!